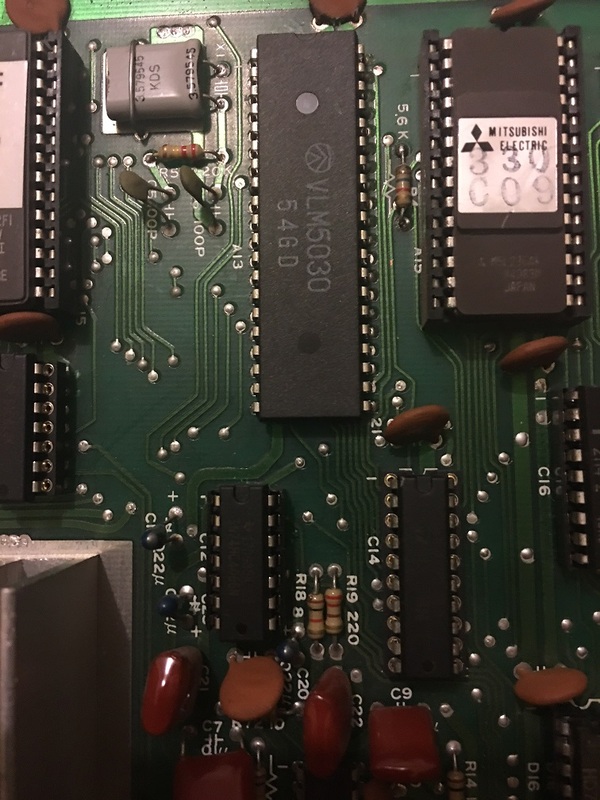 This is a very short update which covers the replacement of the VLM5030 Speech Synthesizer chip which Konami used in various games. 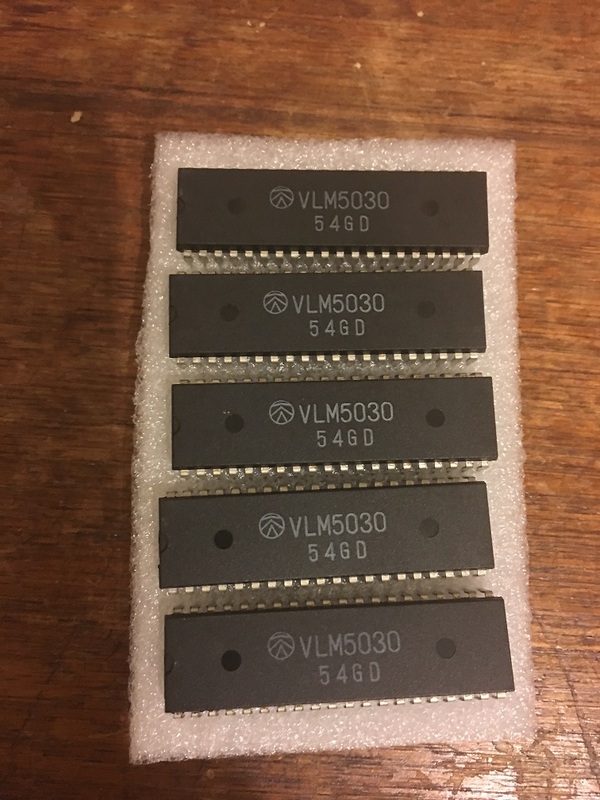 Today my eBay order of 5 x VLM5030 Speech Synthesizer chips arrived in the mail. I only needed one but who knows when the other 4 will come in handy for future repairs. Removed the old IC. It’s probably not clear from the picture but this IC got very hot at some point. The marks left aren’t as obvious as what I discovered under the 2149s at A19 and B19, I might need to look at those later. I didn’t have any 40 pin sockets available but I was really itching to try this out so I soldered the chip in anyway. Cycling through the sounds and playing them in diagnostic mode verified the fix for this. I also ran the game to verify this as well. The VLM5030s will be useful for future repair for sure. 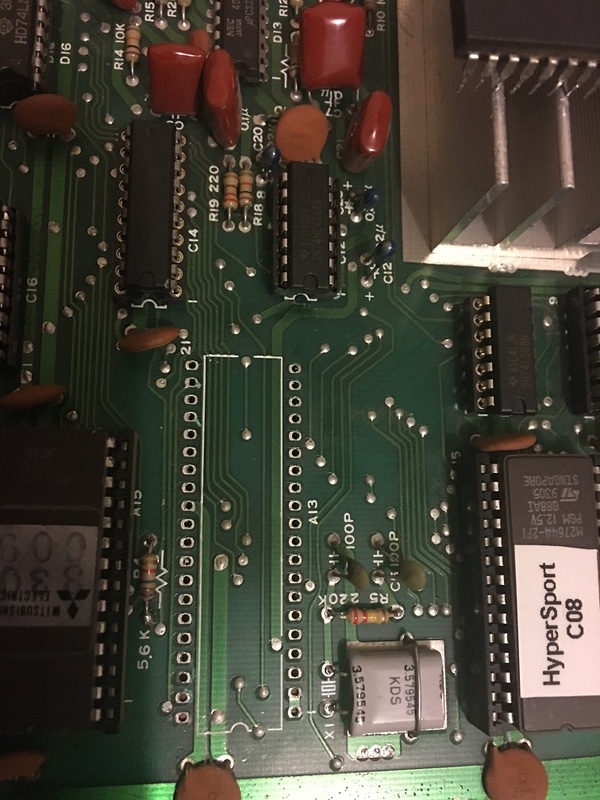 I changed one few months ago on a Lifeforce PCB.